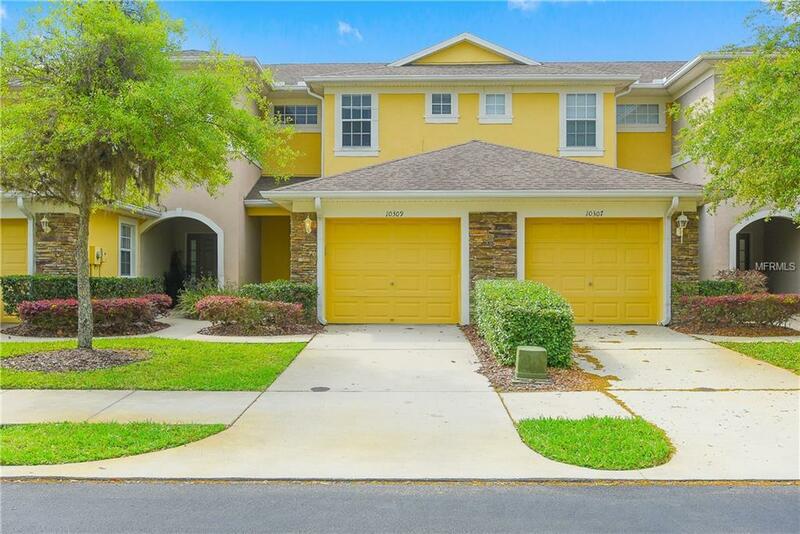 *Priced to Sell* This Charming New Tampa townhouse is beautifully maintained, and ready for you to move in TODAY! Conveniently located in desirable Stone Creek. Perfect for buyers looking for hassle-free townhome living, you will absolutely love gathering with family and friends in your OPEN GREAT ROOM. Kitchen features large prep areas, beautiful cabinets, durable laminate countertops and plenty of space for storage. Full appliance package included. Master Bedrooms includes a private bathroom. Downstairs living space includes an indoor laundry area and guest bathroom. Enjoy the Florida lifestyle in your Outdoor space that features a patio with a POND VIEW, and ATTACHED GARAGE. Other highlights include Brand new carpet and paint, so all you have to do is move in. Schedule your showing today, before this one is gone! Pet Restrictions Maximum Of 1 Dog Or 2 Cats Or Other Customary Household Pets. Contact Association For Additional Details.